Art and music has moved mountains throughout history proving to be one of the most timeless and unconditional ways of sending a message. San Diego-WISH has been fortunate enough to feature acoustic guitarist Ryo Sean Okada for the 2nd time at this year’s Peace & Humanity Day event (August 5th & 9th 2013) and thus recognizes him as a “Peace Artist” of our time. 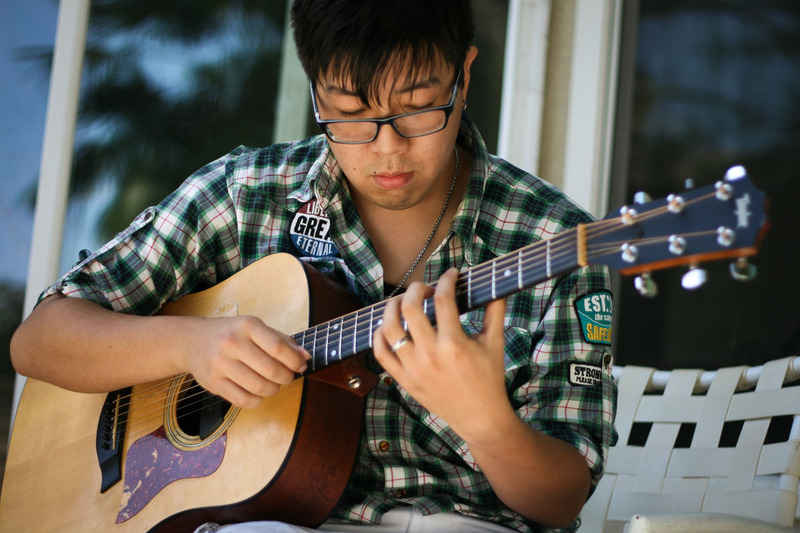 Finishing up his last year of study in the Guitar Program at the California Institute of the Arts in Valencia, CA, Ryo utilizes a unique finger tapping technique to produce a relenting assault of soothing harmonic melodies upon his listeners. Ryo has studied the guitar for nearly 10 years and finds inspiration from sources such as Japanese artist Kotaro Oshio. He was recently featured in a spotlight interview and performance for Brilliant Strings. Follow Ryo Sean Okada on his Facebook and ReverbNation pages. Also be sure to experience his amazing performance as he helps us WISH for peace at this year’s Peace & Humanity Day.